It has been a rough couple of months for me and my family. It has also been a rewarding couple of months. I've been working ten to sixteen hours days, seven days a week. This is physically and emotionally taxing and affects not only me but those around me. Here's the thing. I shouldn't be working this hard. I don't need to work this hard. So why the hell am I!? I'm saying no to the wrong things. I'm saying no to hiking on Saturdays, mountain bike riding on Sundays, and relaxing in my yard in the evenings. I'm saying yes to prospects who email, instant message, and text me with questions about everything from marketing to cover design. First, as businesspeople, we must distinguish between prospects and clients. We must also remember that a client who contracts with us for one type of work remains a prospect for other types of work. Prospects are those who have expressed interest in our products and services. They are in our sales pipelines but have not signed a contract and no money has changed hands. When we spend time working for prospects we are working for free. That's expected because there are costs associated with customer/client acquisition. But what exactly is expected and how much is it costing us to acquire that client, that person or entity who pays for a specific product and/or service? Prospects expect "added value." We are admonished to offer free services before the sale. I have no problem with that. I do provide added value in the form of blog posts, free consultations and sample edits, and volunteer work in my local writing community. I'm sure you do too. This is general information, and I gladly offer it for free. But, for individualized plans, I offer editing, coaching, and consultation-for a fee. And, rather than maintaining my boundaries and protecting my income and personal time, I am responding to these people when they overstep. And once I answer one "quick question," I've obligated myself to answer them all. And one question begets another. If you are a service provider, you may have also experienced the flip side of this problem. Scope creep. Scope creep is when a client contracts for a specific service--a light edit for example--but then asks for more and more as the project moves forward and sometimes even after the work is delivered as contracted. When we hear phrases like "could you just," and "real quick," we should recognize them as red flags. Like a creeper vine, these requests--if not nipped in the bud--grow outside of their area and encroach on others. This overcrowding is harmful to the work we're doing for that client, our other clients, our personal lives, and can even choke out the time we have to prospect for future work. When I write blog posts, post on YouTube, or speak to groups about the topics I know and love, I feel energized. I feel the pleasure of giving. When prospects overstep and clients push, I feel like I am being taken from. My emotions turn from happy and engaged to resentful and disengaged. Scope creep puts our relationships and businesses in danger and saps our energy. Adding value doesn't mean taking from ourselves to give to others, and it shouldn't feel like losing. As I've analyzed these negative emotions, I've been able to home in on the real issue. I am allowing people that aren't a good fit to steal my energy, creativity, and time. I would much rather spend my extra time coming up with new ideas to better serve those who respectfully partner with me and surprise them with a little something extra that enhances their experience than to give to people who are bottomless pits because it feels great to see a client's eyes light up at delivery or to get an email that says how delighted they are to work with me. Bad prospects and clients will never be satisfied. Many of us left the misery of the 9-to-5 life so we could do work we love with people who respect and appreciate us. But it can be easy to slip into bad relationships because we're trying to be nice, attract new business, and be all things to all people. What I've learned over the past few months and am coming to appreciate more and more as I rebalance is that value is a two-way street. We will never be able to add value for people who want to take it all, and those who truly appreciate our services and the experience we offer add back to us. It's truly a win-win with no negative emotional or financial impact for either party. To add value is to give a gift and should feel wonderful to the giver and to the receiver. 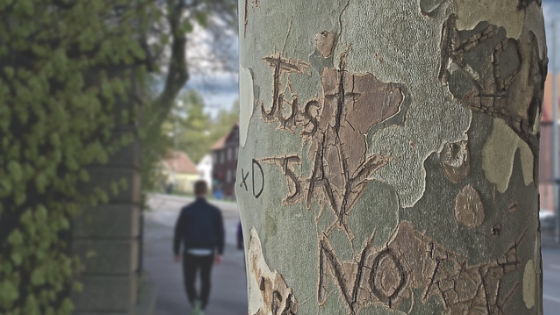 Saying No and Adding Value Feels Great! I started writing this post several months ago. Since I started I've fired several prospects. I nicely but firmly told them we weren't a good fit, wished them well, and reiterated my professional position when they continued to ask me questions. I also had to remind a client that I had fulfilled my contractual obligation (with high praise from them) and that if they wanted my consulting time, we would need to draw up a new contract. I did all of that and nothing bad happened. The sky did not fall. I did not lose my professional standing. It all worked out fine, and I felt so much better! Feeling better made me more creative, and one day while working for one of my many awesome clients, I had a flash of brilliance. An idea for how to add significant value with little extra effort and cost to me. They loved it! And, I've been able to use it with every other client and prospect since. My conversion rate went up, and I'm getting more referrals than ever because I'm setting boundaries and saying yes only to people and things that add value to my life and allow me to add value to them and theirs. If you're tired and your enthusiasm is fading, if seeing a prospect or client's name causes your stomach to tighten and your energy to drop, I hope my experience helps you know that you are not alone and that the solution is fairly easy and not nearly as painful as it may seem. Set office hours that include when you will answer phone calls, text messages, social media DMs, etc. and hold yourself to them. Remember (as I must remind myself on a regular basis), it's easy to blame prospects and clients for our stress, but we teach people how to treat us. When we don't establish and enforce our boundaries, we communicate that we have none and, therefore, cannot expect others to respect them. Learn to recognize bad prospects and clients before engaging with them. Be willing to walk away from unprofessional relationships. Related: Why You Must Stop Being a Superhero (Seriously! ): Are You Selling the Impossible? Related: My Editors & Authors YouTube post: What Type of Business Do You Want, and What Type of Customer Are You? I respect your privacy. I do not share or sell my list.